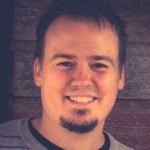 Andy is the founder and visionary leader of Verge Ministries. Verge Ministries has a heart to equip college and young adult leaders to effectively multiply ministry in their local contexts through training, networking and ministry development. Andy is passionate about college/young adult leaders. He is married to Jenn and has 5 children.